Ever wondered about how to finance your post secondary education? 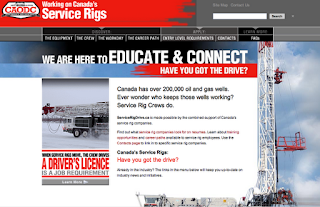 Growing up in British Columbia, I had no idea that I could work on the oil rigs in Alberta and Saskatchewan to help make money for my education. 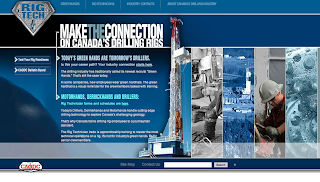 However, I've just finished a couple of web sites for the CAODC that help young people find entry level work in the oil patch. It's hard work, shift work - but its good money and good experience. Tristan, the leader of one of the bands I play with occasionally, worked in the oil patch on the rigs for a couple of years to do just that. He saved money while he was working, then went to school with the money he made. After doing this for a few years he eventually gained enough experience to start his own cabinet fitting company (that's what he was going to school for). He financed all of his education, his tools, and his truck through his work on the rigs. I haven't seen or talked with you in over twenty years, but you are still a part of my life almost every day. When you first started teaching me, I knew the rudiments of playing the piano. I could mechanically play a piece of music. However, you taught me how to make music. Recitals were scary, but I remember playing pieces like 'The Pink Panther' and 'The Policeman' and learning to enjoy them because it became music to me and to the people who listened as well. Playing the piano for you wasn't just about hitting the right notes at the right time - it was about moving people - making them see you, the music, or themselves in a different, new way. Your encouragement has helped me use music to be a catalyst in healing hearts, minds, emotions, and relationships. Your influence on me didn't just stop with music. Through your example and your enthusiasm, you taught me how to teach. I have taught others guitar, piano, drums privately, and I've taught classes in software programming publicly, all with great reviews because of your impact on my life. Going to piano lessons every Tuesday night, I never would have dreamed I would learn to become a teacher. But that's what happened! You awakened another gift in me - the ability to pass knowledge onto others. I'm sure you wonder what happened to me after all these years. I still play bits and pieces of the songs that we worked on together on the piano. I compose my own music on the piano and the guitar. Maybe you'll still hear that one day. And I play and sing in bands. In fact, over the years I've played many different instruments in many bands in front of thousands of people. The joy of being able to share this gift of music with others is precious. My life is more rich and full because of you, Betty-Anne. You made a difference in my life and you are not forgotten.